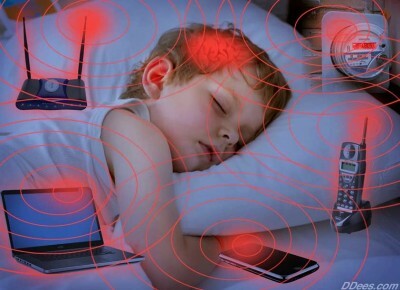 Yet another credible voice is now sounding the alarm about the pervasive dangers of Electromagnetic Fields (EMFs) – Professor Martin Pall, PhD – professor of Biochemistry and Basic Medical Science at Washington State University, Pullman. His lecture can be viewed below, as well as a summary of his findings amid a flood of other scientific research. It is worth noting that Pall’s concerns have been echoed by others throughout the field of biochemistry and health science. British ER physician and founder of Physicians’ Health Initiative for Radiation and the Environment (PHIRE), Dr Erica Mallery-Blythe, analyzed the exponential growth of damaging sources of EMFs – damaging to all life, as life could be defined as anything that possesses an electromagnetic field. She concludes her lecture (viewed here) with some practical solutions that can be taken to mitigate the effects of bio-active frequencies which can cause disruption of our DNA fractal antenna and promote a host of stress responses.